Two leaders from Shropshire were awarded the new Shropshire Good Guiding Award at our County Day and Annual Review at Shrewsbury College this week. 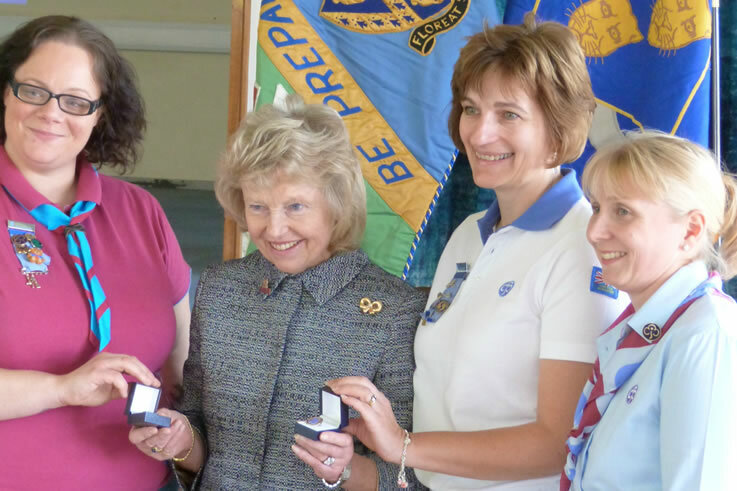 Beckie Harrison and Debbie Bray were presented with their awards by Lady Heber-Percy, the County President. Beckie has been instrumental in fundraising for her district to take part in International events, designing and selling over 26000 snowman themed badges to units all across the world. Debbie was presented with her award for her enthusiasm and commitment to helping whenever needed. This might be on a sub camp for a Brownie or guide camp or just helping at large scale events. Debbie has a real can do attitude and is always willing to support others.